Stay in the heart of the city! 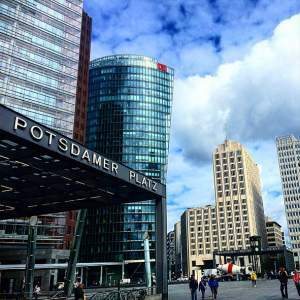 We are located in Moabit, the easygoing side of the Central district of Berlin Mitte. On the one hand we are surrounded by many of city’s main sightseeing and tourist attractions. On the other we offer the charm and coziness of the Berlin residential areas. A hub for young people, students and independent artists our neighborhood offers parks, old market halls and very good connection to any part of the city. A single bus stop separates us from the central station. And a 10-minute bus ride brings or takes you to the Tegel airport. From Hauptbahnhof (Central Station): go to exit Europaplatz. At the bus stop take the airport bus TXL direction Flughafen Tegel (short distance ticket “Kurzstrecke”) for 1 stop. Get off at the Underground stop Turmstr. Walk on Turmstr. for 3 blocks in the same direction as the bus. Turn right into Bremerstr. and than first left into Waldenserstr. The hostel will be on your left in approximately 70m. 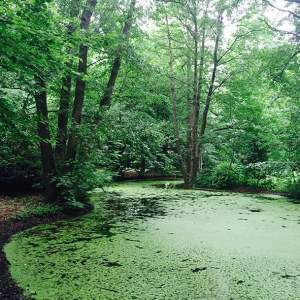 You have reached the Amstel House Hostel Berlin (walking distance from bus stop: 4-6 min). 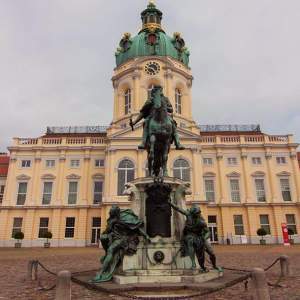 From Ostbahnhof: take the city train line S7 or S5 direction Potsdam or Westkreuz and get off at the station Zoologischer Garten (Zoo station). Take the Underground line U9 direction Osloer Str. After 2 stops get off at Underground stop Turmstr. Use the exit near top/ head of the train. Turn right. Keep following the sidewalk of Turmstr. for 3 blocks going in church’s direction. Turn right into Bremerstr. then first left into Waldenserstr. The hostel will be on your left in approximately 70m. You have reached the Amstel House Hostel Berlin (walking distance from underground stop: 4-6 min). From Airport Tegel (TXL): take the bus TXL direction S + U Alexander Platz ( TXL/ Jet Express Bus: regular fare) for 4 stops and get off at Underground stop Turmstr. You are right in front of the underground entrance on Alt-Moabit-Str. Go in opposite direction to the bus until next intersection. Cross Alt-Moabit-Str and walk straight towards the big church. Pass the church and cross Turmstr. Go straight on into Jonasstr. Take the next left into Arminiusstr. Turn right into Bremer Str. And than first left into Waldenserstr. The hostel will be on your left in approximately 70m. You have reached Amstel House Hostel Berlin (walking distance from bus stop: 4-6 min). From Airport Schoenefeld (SXF): walk to S-Bhf. Flughafen Schoenefeld and take the Metro-Train ‘RB 14’ direction Bahnhof Zoologischer Garten, get off there and change into Underground U-Bahn line U9 direction Osloer Str. After 2 stops get off at Underground stop Turmstr. Use the exit near top/ head of the train. Turn right, keep following the sidewalk of Turmstr. for 3 blocks going on the church s direction. Turn right into Bremerstr. and than first left into Waldenserstr. The hostel will be on your left in approximately 70m. You have reached Amstel House Hostel Berlin (walking distance from underground stop: 4-6 min). Cross the Av. Messedamm and follow the Av. Neue Kantstraße on its left side. 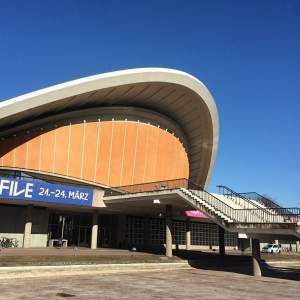 In around 100m enter the station S-Messe Nord / ICC and take the Ring-41. After 4 stops get off at Westhafen. There take the U9 direction Rathaus Steglitz. After 2 stops get off at Turmstr. Use the exit near the back / end of the train. Turn right. Keep following the sidewalk of Turmstr. for 3 blocks going in church’s direction. Turn right into Bremerstr. then first left into Waldenserstr. The hostel will be on your left in approximately 70m. You have reached Amstel House Hostel Berlin (walking distance from underground stop: 4-6 min). Join the A2 direction Berlin. Exit the A 2 at junction AD WERDER and merge onto A 10. Exit A 10 at junction AD NUTHETAL and merge onto A 115 direction BERLIN-ZENTRUM. Exit A 115 at junction AD FUNKTURM and merge onto A 100 direction WEDDING/HAMBURG. Exit the A100 at BEUSSELSTR./ WESTHAFEN. Turn right into Beusselstr. Follow Beusselstr. and turn left into Wiclefstr. After 3 blocks turn right into Oldenburger Str. and a last turn left into Waldenserstr. Amstel House Hostel Berlin is now on your right hand site. Take A 24 towards Berlin. At AD HAVELLAND merge onto A 10 BERLINER RING towards ORANIENBURG. When you get to KREUZ ORANIENBURG merge onto A 111 towards BERLIN ZENTRUM/ FLUGHAFEN TEGEL. Take the Heckerdamm exit (exit 12) and continue driving until you get to the roundabout at Jakob-Kaiser-Platz. Take the third exit of the roundabout towards A 100 WEDDING / WESTHAFEN. Shortly thereafter take exit 2 and turn right onto BEUSSELSTRAßE. Follow Beusselstraße until you see an ‘Aral’-petrol station, then turn left onto WICLEFSTRASSE (Please notice that you enter a traffic-calmed area here!) After 3 blocks turn right onto OLDENBURGER STRAßE and then left onto WALDENSER STRAßE. You will reach our hostel after approximately 50 metres. Take A 11 towards Berlin until DREIECK SCHWANEBECK and merge onto A 10 BERLINER RING towards Oranienburg/Hamburg. When you get to AD Pankow follow A 114 towards Berlin Zentrum/Alexanderplatz. Continue on A 114, which becomes B 109 and later PRENZLAUER ALLEE. Turn right onto Torstaße and continue taking Torstraße until you reach Rosenthaler Platz. Here turn right onto BRUNNENSTRAßE. At the next big intersection turn left onto INVALIDENSTRAßE. Stay on this road for about 3 km (you will pass the new Central Station). When you reach the intersection Invalidenstraße / Alt Moabit turn right onto Alt Moabit. After 1 km turn right onto Stromstraße and, at the next intersection, left onto Turmstraße. Follow Turmstraße until the end of the park, then turn right onto Bremer Straße. After 2 blocks turn left onto Waldenser Straße. 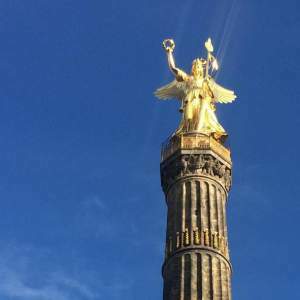 You will reach Amstel House Hostel Berlin after 70 metres. Take A 13 towards Berlin. At KREUZ SCHÖNEFELD follow A 113 towards Berlin Zentrum until you reach AD NEUKÖLLN. Here merge onto A 100 towards Flughafen Tegel/ Hamburg. At AD CHARLOTTENBURG take the left or middle lane to follow A 100 (now towards Westhafen/Wedding). Take the Beusselstraße-exit (exit 2) and turn right onto BEUSSELSTRAßE. Follow Beusselstraße until you see an ‘Aral’-petrol station, then turn left onto WICLEFSTRASSE (Please notice that you enter a traffic-calmed area here!) After 3 blocks turn right onto OLDENBURGER STRAßE and then left onto WALDENSER STRAßE. You will reach our hostel after approximately 50 metres. This luxurious baroque style castle and its stunning garden were built in the late 17th century by order of Sophie Charlotte the first wife. One of the main symbols of the capital this neoclassical monument gives glamorous entrance to the Unter den Linden, Berlin's central boulevard. This nearly 70-meter high obelisk was built at the end of the 19th century. The bronze statue at its top represents the goddess of victory. Europe's busiest centre in the late 19th century. A festive corner of the golden 20s. Destroyed by WWII. Today, a symbol of reunification, it is a highly modern architectural complex. 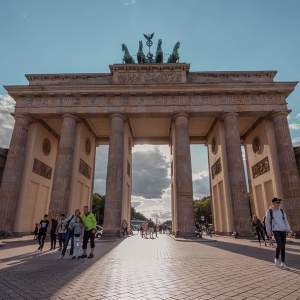 One of the largest parks in Germany and the most beautiful in Berlin, the Tiergarten has breathtaking vegetation as well as sculptures, bridges and very nice paths. 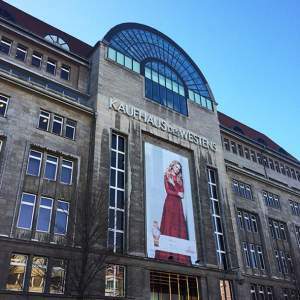 With more than 60 square metres, KaDeWe is the second largest department store in Europe. In addition to hundreds of thousands of items, the top floor is an oasis of gastronomy. This space for presentation and discussion of international contemporary arts hosts exhibitions, shows, concerts, readings and films especially from non-European countries. 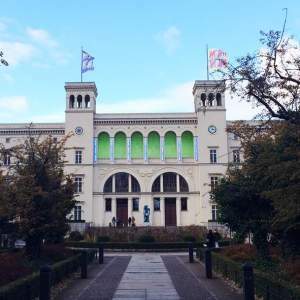 A former railway station that today holds part of Berlin’s contemporary art collection, which contains works of well-known artists such as Andy Warhol and Roy Lichtenstein.